Wonderful comfort food right here. 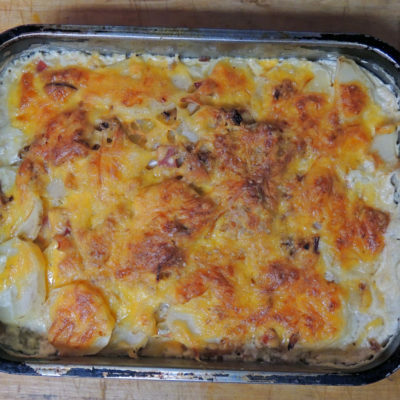 Potatoes, ham, and cheese together are a marvelous trio. 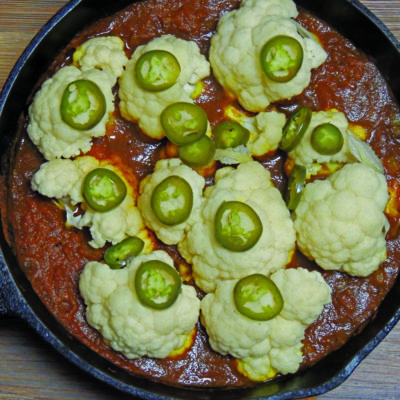 Here is another tasty way to enjoy cauliflower, with a little kick from jalapeño. Think of this almost like a cabbage steak. 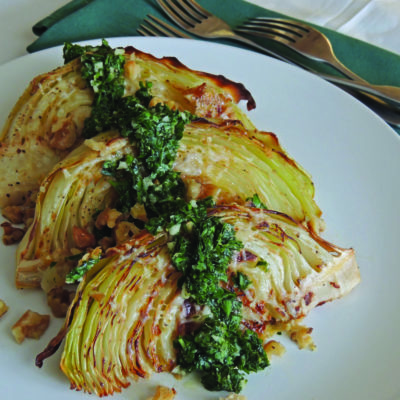 And the gremolata topping elevates the humble cabbage to elegant status. 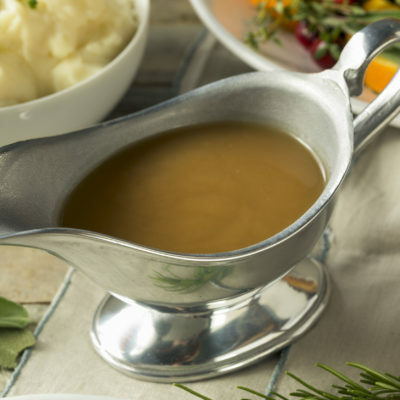 A Thanksgiving meal wouldn’t be complete without homemade turkey gravy to pour over your mashed potatoes. 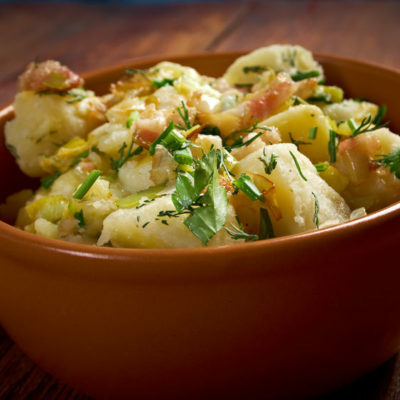 Vegetarians can leave out the bacon in this hearty potato salad and it will be just as tasty. These green beans are absolutely delicious and so good for you. 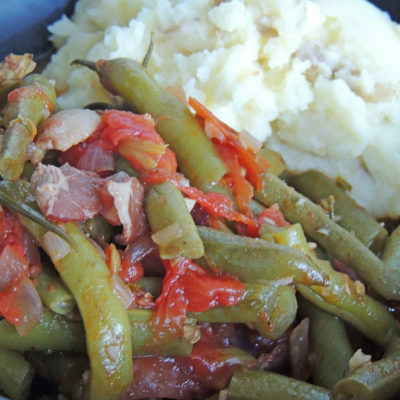 Southern inspired, delicious and easy green bean dish. 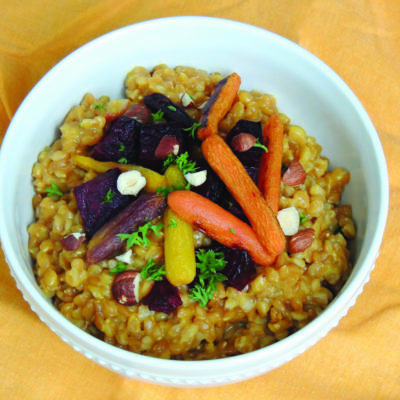 You don’t need to constantly stir the grain in this risotto recipe to get a nice, creamy result. Also known as Konigsberger Klopse. This is a Prussian specialty. 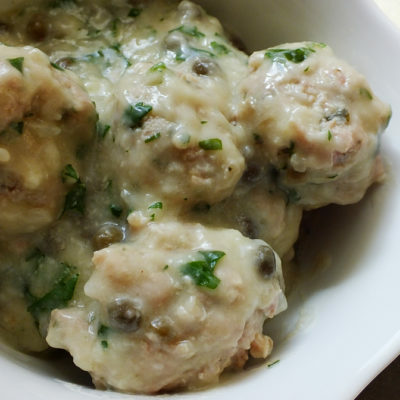 Served in a delicious white sauce with capers. Also known as Spanish Omelet. 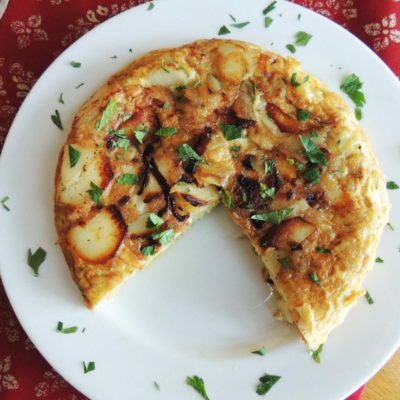 Peasant food at its best…eggs, onion, and potatoes don’t get any better than this.